Chuck Miles credited as arranger "With A Little Help From My Friends" may be new to database. "Spooky" published by Lowery Music Co., Inc. BMI. "With A Little Help From My Friends" published by Maclen Music, Inc. BMI. 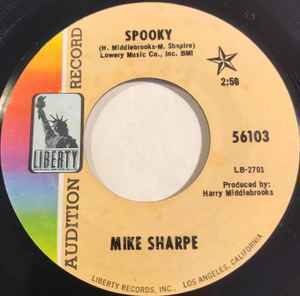 Five point star printed on "Spooky" label indicates intended A-Side.